After 16 years, perfumer Linda Pilkington is delighted to share Privé, a complex entrancing fragrance with over 70 ingredients. Every breath of this fascinating perfume gathers pilgrims onto its long, beautiful journey. Privé Eau de Parfum integrates itself into the wearer, opening the senses and creating a nostalgic experience. A complex formulation of the many favoured and private perfume oils of Ormonde Jayne – our DNA personified. Adorable hints of basmati rice and pink pepper, a luxurious heart of gardenia, magnolia and jasmine, all absolutes, all-enveloping, creative and flattering. When did the creative process for Privé begin? In 2002, when Ormonde Jayne was in its early days, I was contacting all the major perfume houses like Givaudan, Firmenich, International Flavors & Fragrance and marking out all the oils I absolutely adored. We now have a repertoire of around 150 different oils classified as my favourite, from eight different fragrance suppliers and I am still creating with 70 of those on a very regular basis. The oils form the foundation of all of our perfumes and are the very DNA of Ormonde Jayne. So, the creative process for a fragrance that belongs to the very heart & soul of Ormonde Jayne began 16 years ago. Was there a single inspiration behind Privé? The inspiration was simply picking out my very favourite oils, ones that represented and evoked the most positive of emotions. They include basmati rice, pink pepper and magnolia, the inspiration was creating a perfume using only my top all-time beloved ingredients. What made the journey to completing Privé so long? I was very happy with the perfume created back in 2002, but at that time, because I had a very new relationship with the perfume houses, I wasn’t able to obtain so many different oils from so many different fragrance manufacturers in such small quantities. Typically, independent niche perfumers buy their oils and ingredients from only one company – but I needed such a wide variety of oils that I was buying from 8 different manufacturers which was unheard of. It’s never economically viable for a manufacturer or supplier to sell a small quantity of a rare oil – the sort of amount I was asking for was from around 50 grams to 500mls and therefore, some requests were denied. The formulation of Privé is quite long – it has 52 ingredients in it – I realized the time wasn’t right at the beginning of Ormonde Jayne to take this on. Fast forward to 2018 and today I have a long standing, and great relationship with the fragrance suppliers, and plantation owners, as well as the gardeners that work with the flowers. They oblige and help me, even if it’s a small quantity of a rare absolute from the ends of the earth! With so many different ingredients from every direction of the world, how have you managed to keep the individuality of the separate notes? My perfumes are complex, never heavy and never overpowering. 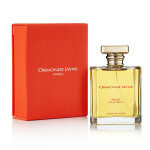 Ormonde Jayne perfumes have a reputation for being known to breathe! We use a small accord in every perfume in our collection (with the exception of Tolu) and this opens up and gives wings to the perfume, enabling it to unfold and move! They all have a substantial yield. When I create a perfume, I already know how I want it to smell from the opening to the dry down. So even if you want to create a soft captivating floral, you can still use a large number of varied ingredients, so long as the proportion of those ingredients work and are perfectly balanced. Ormonde Jayne’s “house signature” contains a small (and secret!) accord that lets Privé unfold its elegant journey in its own time. The sign of a good perfume is when it smells extremely good on your clothes the day after you have worn it as a happy reminder. What perfume category would you place Privé in? I can’t decide, but maybe it will have its own category – Out-of-this-world abstract floral! 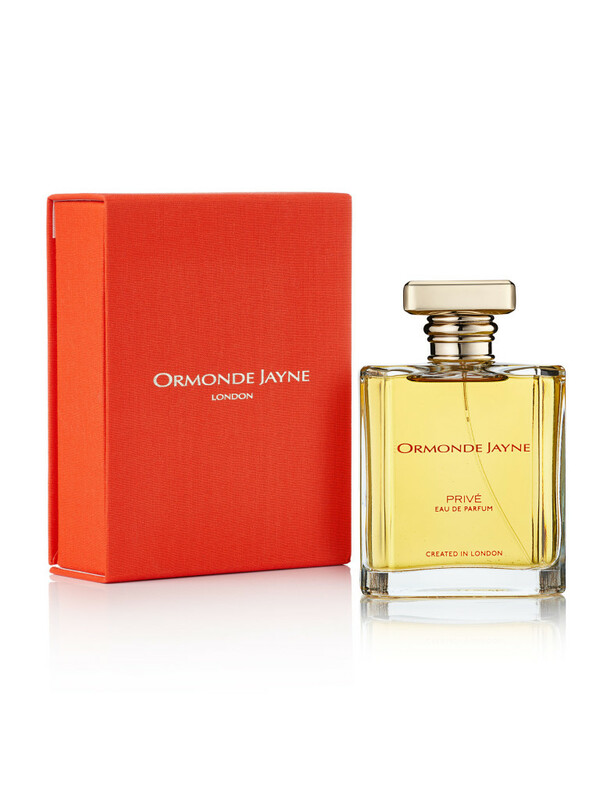 Is Privé more for a veteran Ormonde Jayne wearer, or could a newcomer to your house appreciate it? A few of my clients who have known Ormonde Jayne since its first day have said it’s like a biopic of Ormonde Jayne with flashbacks of all their classic favourites. But I think it’s definitely the latter – it really is the signature of the house – all our favourite ingredients are there – but if it’s a unique and innovative floral you are looking for, you will be delighted with Privé. Lots of Ormonde Jayne’s trademark ingredients from past creations feature like basmati rice, tonka bean absolute, champaca, gardenia absolute. Are there any ingredients that you are using for the first time in Privé? This time we have used a few for the very first time! Iralia (violets), lily of the valley and ginger. Which is the most unusual ingredient found in Privé? Gardenia Absolute is not the most unusual, but it is however the most difficult ingredient to source these days, almost too difficult! It was a Herculean task to finally secure a supply of this and I am very protective of every drop and my supplier! Have you any plans to introduce Privé to the rest of the world after Saks Fifth Avenue? It will be exclusively available at Saks Fifth Avenue until early spring 2019 and I can’t think of a better place to introduce Privé. But we are planning other collaborations later in spring 2019 across the US and other countries. Which emotions speak to you the most strongly when you wear Privé? When I wear Privé I feel avant-garde & sophisticated because it is utterly different and very abstract. It makes me feel like I am at the cutting edge of life! If I was taking the Eurostar train from London to Paris for the day, I would wear Privé because I know it could take on all the Parisian women! As someone who has watched Ormonde Jayne from the start, it seems to be a proclamation of everything you have ever created, yet also unique – where will it be placed in the future? Privé will certainly have its own place! We have 11 perfumes in our signature range at the moment, and Privé will be the 12th. 12 is a great number, our London boutique is 12 The Royal Arcade in Mayfair, there are 12 apostles, 12 months of the year, 12 members of the jury, so being 12th place has finality…and Privé also has its own unique category!